So what’s the deal? Should you just give up trying to market with content altogether and focus on other tactics? Most definitely not. Chances are, the problem with your content isn’t so much about what you’re writing about, or your ability to write (although those can influence your success). No, usually, the main reason that your audience isn’t returning for more of your content and engaging with you is that your work lacks authenticity. We hear a lot about authenticity these days. Being authentic, being real, is valued — and calling someone a fake or a phony is one of the worst things you can say about them. Often associated with honesty, authenticity is a positive quality, but most people maintain a very self-centered definition of authenticity. Someone might refer to oneself as authentic when they “walk the walk” or “practice what they preach,” but the problem with that definition is that it’s focused on how you feel about yourself. However, the true definition of authenticity, according to the Harvard Business Review, is more about how you relate to others. It’s not just about being secure and confident in your own beliefs and standing tall within them. Authenticity is being comfortable with others, and being honest even when it may not be the most comfortable thing to do. Often, your audience will deem you inauthentic when they sense that you are only telling them what they want to hear. If you always attempt to remain neutral, and never take a position or share your point of view, your voice — and your content — is going to come across as dull at best, or untrustworthy at worst. 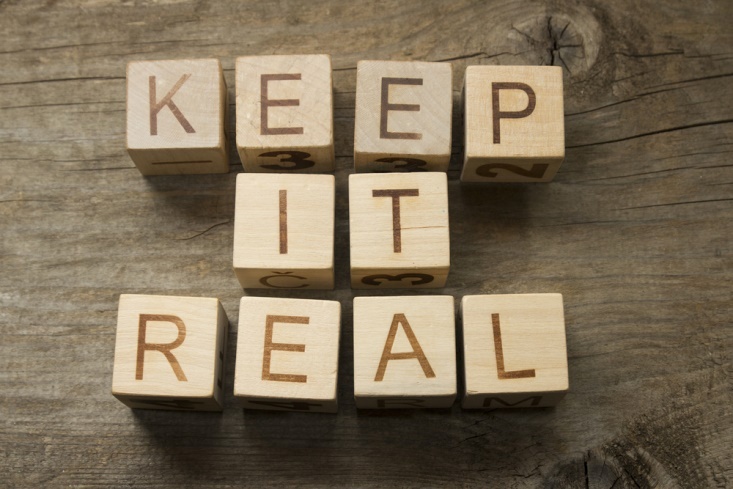 Being authentic and creating authentic content means being confident enough to say “this is what I believe and why” and being prepared to engage in a dialogue with others who may have a different point of view. So how do you carry this authenticity into your content? The first step, as always, is to know your audience. Who are you creating content for? Be specific. Create a buyer persona, not just a demographic profile. Understand your ideal customer and talk to that person. Understanding your customer’s decision-making process is also important to developing an authentic voice. What matters to him or her? What are their primary concerns? What do they have doubts about and how can you assuage those doubts? At the same time that you analyze your customer, you also need to get a firm grasp on your own company’s brand. One of the fastest ways to torpedo your authenticity is to create content that is inconsistent with your brand. You need to determine who you are, and then be who you say you are. Finally, being relevant is also a key part of being authentic. Capitalizing on trends can be a smart strategy, but only when they actually relate to your business and are something that your audience is legitimately interested in. Otherwise, it rings false, and your customers will see through what you are doing. The exception, of course, is when you have a fresh take on a trend, news story, celebrity, etc. that you can relate to your business in a meaningful way, but avoid trying to capitalize on a trend simply for the sake of driving traffic. Being authentic sounds like it should be the easiest thing in the world to do, but it’s surprising how quickly even good intentions can go astray. But by understanding what it means to be authentic, who your customers are, and who you are — you can keep it real and keep them engaged.